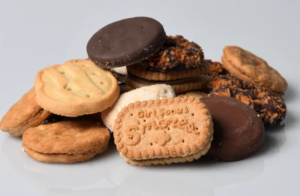 About this time of year, for about the past five years or so, articles about beer pairings with Girl Scout Cookies start cropping up like Mono in middle school. I get it, I really do. I get as excited as anyone about beer and food pairings. But the idea of rehashing something that’s already been done (many times over) didn’t really resonate with me… until it did. My little girl has jumped into Girl Scout Cookies sales with surprising — but welcome — enthusiasm. 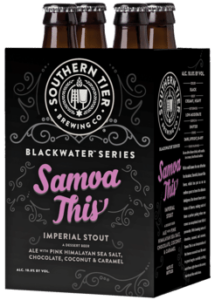 I am now surrounded by boxes and boxes of tasty treats, and I always try to keep interesting beer around the house, so I finally succumbed to the question: What beers go best with what cookies? Let’s jump right in, because there’s no better way to learn than by doing. Lemonades: Meh. I wouldn’t recommend this pairing. The phrase that immediately came to mind was, “fighty.” I made that up, I know, but the idea is that there were competing flavors going on with this, and they just didn’t work. Shortbreads: Yep! This was a great combo. 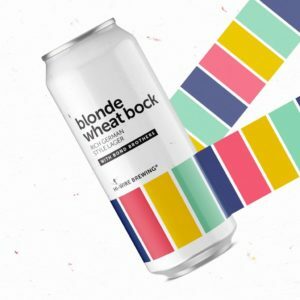 This was one of the more malt-forward beers we tried with these cookies, and the wheat flour of the cookies seemed to dance hand-in-hand with the wheat in the beer. There was also something nice about the dry, crumbliness of the cookie with the refreshing effervescence of the bock. This one worked for sure. Peanut Butter Sandwiches: Nope. Please don’t do this. This actually made both parts worse. It was so bad it made me avoid further attempts with this beer. Samoas/Caramel Delights (I will henceforth solely use the ancient and correct name of these cookies out of sheer curmudgeonliness): I didn’t try this (see last note), but it probably would have worked. More on that later. Lemonades: This worked better. The fruitiness of the beer worked with the tartness of the cookies. Peanut Butter Sandwiches: Not too shabby. It seems that the peanut butter sweetness contrasted well with the bitterness of this hoppy beer. Samoa: Oh, yes. Coconut on fruit, caramel on malt, chocolate on bitterness…goodness gracious. This was a good combo. Lemonades: Once again, a definite no-no. Don’t do it. Shortbreads: Once again, a good pair! Peanut Butter Patties: Yep! 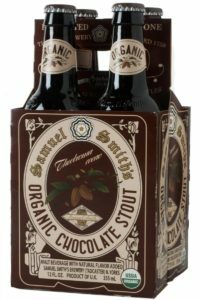 Chocolate worked well with the sweet maltiness of this lager. Samoas: Who is surprised that this one was maybe the best? 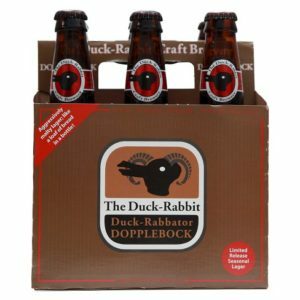 The caramel sweetness of this treat melded with the deep, malty body of the dopplebock, while the coconut played off of the hoppy afternotes. Mmmmmmmmm. Both peanut butter types: pretty good, but the Peanut Butter Pattie’s chocolate made a better contribution. 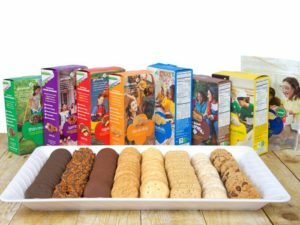 Thin Mints: Finally, something that not only worked with the the Thin Mint (most didn’t) but actually made both better (and that’s saying something). Chocolate on chocolate action made this combo soar, and finally the mint was in harmony instead of fighting everything about the beer. Samoas: Let me just go on record as saying that you can’t go wrong with a Samoa and a beer. Feel free to try to prove me wrong. How could I not use this in this experiment? Thin Mints: Could have been much worse, especially given my experience with Thin Mints otherwise. The mint seemed to weave in and out of this beer like a space lion on Voltron. Peanut Butter Pattie: Derp. I had to Ctrl Alt Delete my palate after that. Don’t. Samoa: Of course this worked. They tasted identical. I wasn’t expecting such an exact duplication of flavor, but it was there, and it was fantastic. You get to double down on coconut, and you’re not upset about it. Thin Mints: Mint is POWERFUL. In order for this to work, you need a very intense match-up. Strong chocolate flavor seems to help. Peanut Butter Sandwiches and Patties: PB is finicky. It seems to be hard to work with, too, though not as hard as mint or lemon. It can work, but for whatever reason, that Bock was just not liking it. Interestingly, none of the best pairings involved PB. Shortbreads: These are the Saltines of the cookie world and are a blank slate for pairings. Hard to make a bad match. Lemonades: Same problem as with mint; the lemon flavor is a lot to match up with. 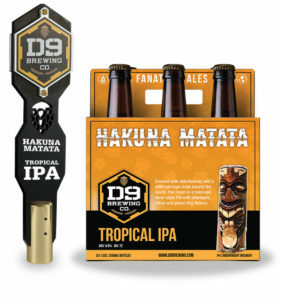 If you can get a more fruity, tropical beer, it seems to pass muster, but otherwise it seems challenging. Samoas: I’m not going to prevaricate here…this is my favorite GSC by far, so maybe I have a little bias. But on the other hand, I think it makes sense that a cookie with several strands of flavor – coconut, chocolate, caramel – has an easier time of matching up and contrasting pleasantly with other flavors. Who knew? This was one of the most surprisingly fun beer/food pairing exercises I’ve done. And I’m glad I did it. PLEASE go out and try your own, and let me know if you find some gems.